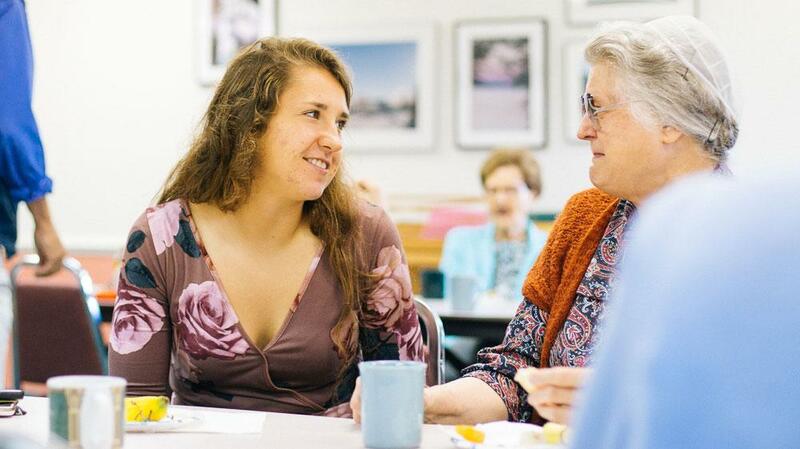 Professor Marti Eads' global literature class in spring 2018 brought together undergraduates and Virginia Mennonite Retirement Center residents. Eads hopes to attract more residents to a spring semester 2019 drama class. 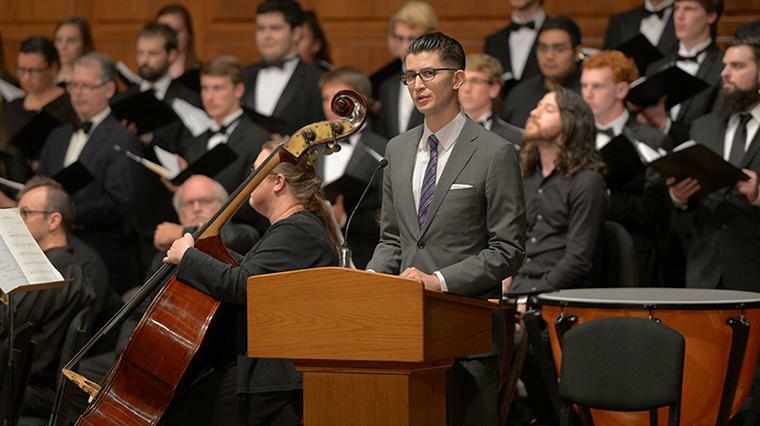 Donovan Tann '08 now teaches courses in literature, writing and film at Hesston (Kansas) College after earning a PhD in English from Temple University. EMU's literary and arts journal, The Phoenix, has been around for 60 years. 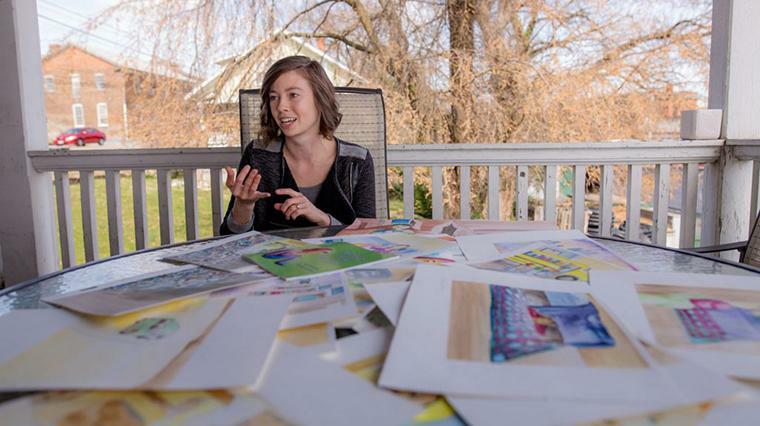 Kendra Litwiller ’14 Yoder illustrated a children's book written by her friend Lauren Pinchon. The "Radical Europe" cross-cultural group in front of Melk Abbey, overlooking the Danube River in Austria. Language and literature studies at EMU offers a robust and challenging mix of formative classes in English and Spanish. Our program is unique in its global perspective on language and literature, its cross-disciplinary approaches, and its emphasis on immersing students in conversation, reading, and writing. Students learn to exercise their linguistic skills critically and charitably. dedicate themselves to passing on their love of language and literature to others. Many of our professors have additional training in cultural studies, theology, biblical studies, and trauma awareness. 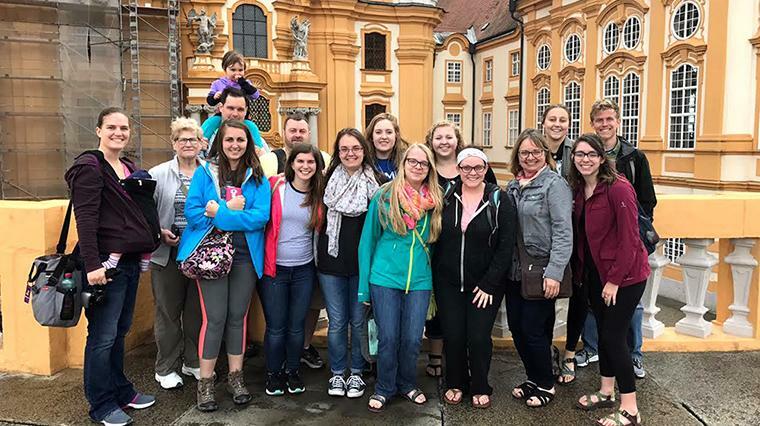 Many have lived internationally and lead cross-cultural trips for EMU. A deep understanding of how cross-cultural study impacts learning. Many of our professors have lived and served internationally and have additional formal training in theology. We bring a faith-based approach of the study of the written and spoken word to the classroom. A cross-discipline approach to learning. Our program is a large community rather than a collection of students who remain within the silos of their majors. Our interdisciplinary approach creates many opportunities to learn and share, such as the literary and visual arts journal we produce yearly. A conversation-based approach to learning or teaching a second language. Conversation partners are an important part of our Spanish studies program, which is conversation-based. Since many of our Spanish-studying students are preparing to work in the service and mission field, it is helpful to know that our conversation partners are often serving in this way through their church denomination. A focus on critical thinking. Literature classes often shape students and have a meaningful impact on their college experiences. In our introductory classes, seniors mix with first-years from a variety of majors and learn to develop a critical eye for their studies. Upper level students in the Language and literature department may receive credit for internships. An internship provides an opportunity for students to explore career options and to extend their classroom experiences and learning with both job-related and academic responsibilities. Department approval is needed one semester in advance. May be taken for 1-3 SH. Students have a variety of co-curricular activities in writing, language, culture, and literature. Check out all the options for co-curriculum activities. 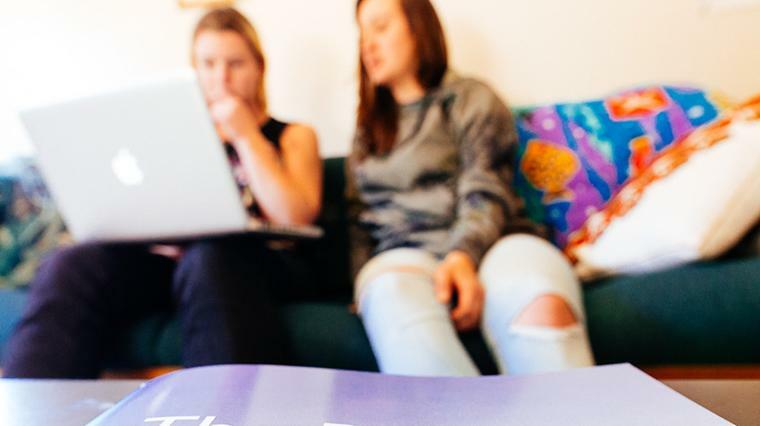 Majors in English, English education and writing studies prepare students to enter a variety of fields where keen self-perception and skillful use of language are valuable. These fields include education, journalism, publishing, film production, creative writing, law, medicine, psychiatry, business, library science, Christian missions, and church and school administration. 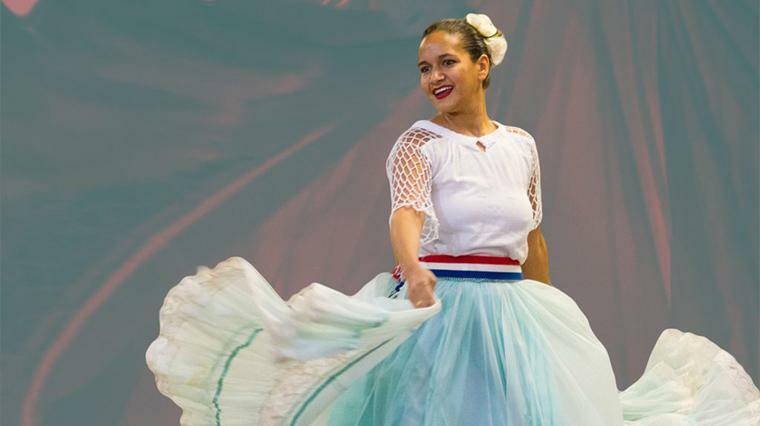 Majors in Spanish and Spanish education provide a broad liberal arts background that can be used as a basis for a variety of graduate programs as well as professional programs. Graduates are also prepared to work with various agencies in the U.S. and Spanish-speaking countries. Careers in language and literature include teaching in public and Christian schools; teaching English to speakers of other languages; editing; translating; free-lance writing; news reporting; broadcasting; advertising; and advocating positive public relations for non-profit associations, businesses, universities, hospitals, and other organizations. Teaches Courses Like: Spanish for Healthcare Professionals, Globalization in Latin American Cinema, Composition, and Intermediate and Advanced Spanish Language. Teaches Courses Like: Ecology and Science Fiction and Global Conflicts, Global Texts.